Along with the Infallible Total Cover foundation I reviewed last week, I was also sent the L'Oreal Infallible Concealer Palette from the same range by the good people at BEAUTY / crew at or around the same time. Now, don't get it twisted! It's spelt INFALLIBLE, despite the unfortunate typo on the packaging. I'd noticed these vari-coloured palettes coming onto the market and always marvelled at the idea of putting green or purple or yellow onto my face without sitting down at a face-painter's stand but was keen to give it a go (as I am with most new makeup ideas). 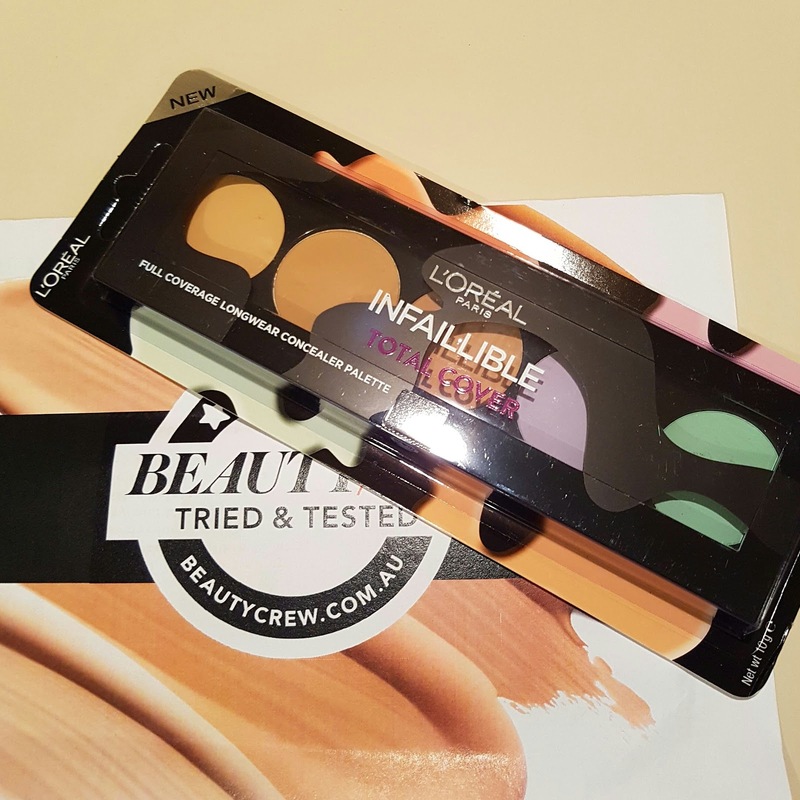 The L'Oreal Infallible Concealer palette comes with a trio of beige shades that will hopefully suit a range of skin tones, as well as a purple shade for brightening dark circles and green for neutralising redness. They have a handy chart on the back so you can use the right shade for your needs. Here's the thing about concealer for me; up until the time I had my daughter, I'd never really used it, apart from a little dab to cover a blemish. Fast forward to having a six-month old and I found myself trying to wipe mascara from under my eyes . . . when I hadn't worn mascara in a week. #Mumlyf, am I right? Enter concealer into my everyday makeup arsenal. It was a year or so ago when I noticed I was getting pigmentation marks on my forehead. 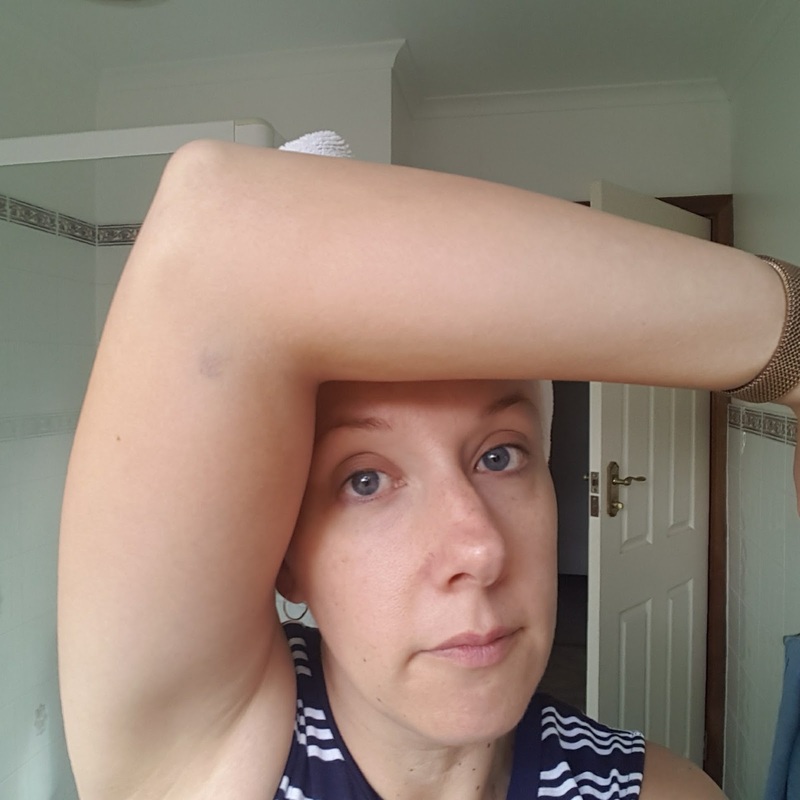 I carried on without paying much attention until I was in Sydney recently, doing my makeup in natural sunlight and I have to say, I was shocked at the level of pigmentation I had reached without realising. My bathroom mirror is directly underneath a downlight (because the woman who designed it clearly never used makeup as also evidenced by the shallow cabinet that can barely fit a palette), it wasn't that noticeable. And of course, once we notice things, then they become a problem. Here's my head, base-free . . . I used the middle beige shade to try and cover that mess up and the purple under my eyes to see what happened. 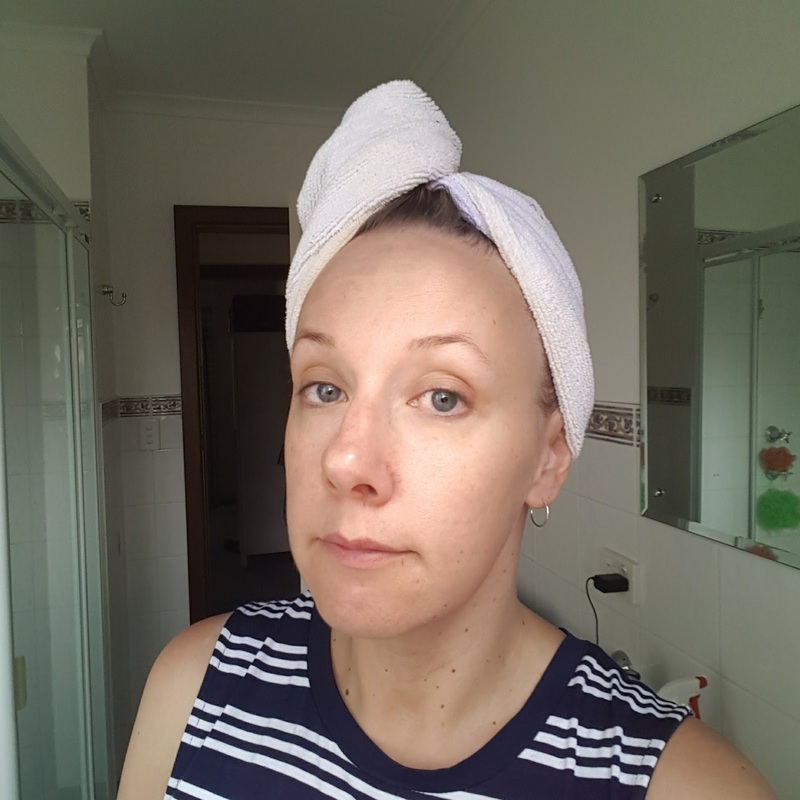 While in Sydney, I did get the Tarte 12-hour concealer and I'm very happy with that but this is also good for large-scale application, leaving the Tarte for "good" and under-eye brightening, as per below. The palette is a cream formula and the shades are smooth and slippy, blending nicely for full coverage of imperfections. To apply, I used my finger on my first go before buying a concealer brush from Priceline. The middle beige shade suited my skintone and did a reasonable job of covering the pigmentation, however application in my bathroom was difficult, given the light. Another attempt in my husband's better-lit bathroom was more successful. I do like an all-in-one product, and providing you can successfully use at least one of the beige shade on your skin, this would be a super handy product to have. 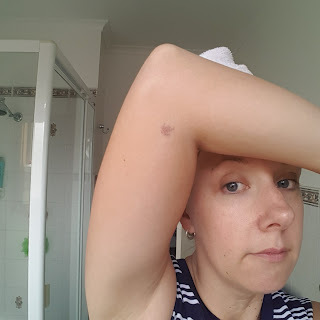 I tested it on freckles and even used the green shade on this burst blood vessel mark on my arm from where Ken Grillett bumped the desk and my skin got pinched in maths class 1993 with reasonable results. The sturdy packaging, generous pans and multi-use properties of this palette make it ideal for travelling and I am impressed enough with the coverage to maybe slightly regret the more expensive Tarte purchase very briefly but this way, it will last longer! 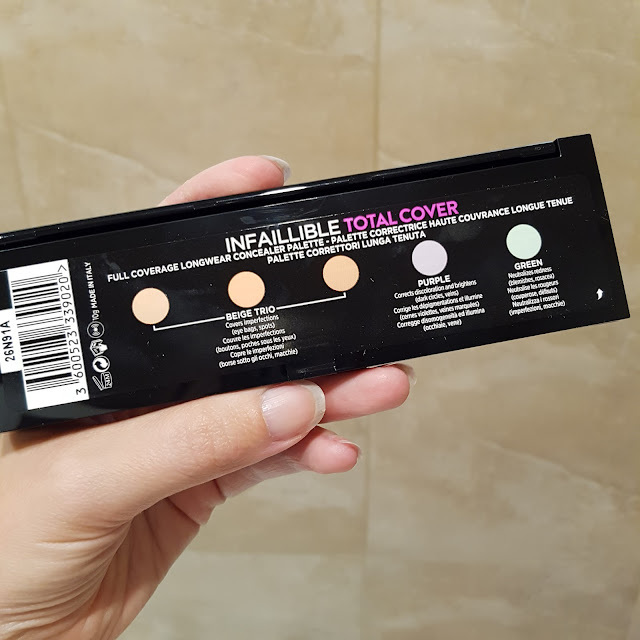 Naturally, being L'Oreal, you will pick this up on special almost anywhere and if you're in need of a full coverage, multi-purpose concealer, then you should probably consider this one. Side note: I went into a laser clinic to see about my forehead and was told laser wouldn't work and to use a cream to break it down but maybe needling might have an effect. At $990 for the course, I think I'll try my luck with the cream. Stay tuned for a future blog post on how that goes. Do you use a multi-colour corrective cream palette? Would you give this one a shot? I'd really recommend you do! Suss it out at Priceline! 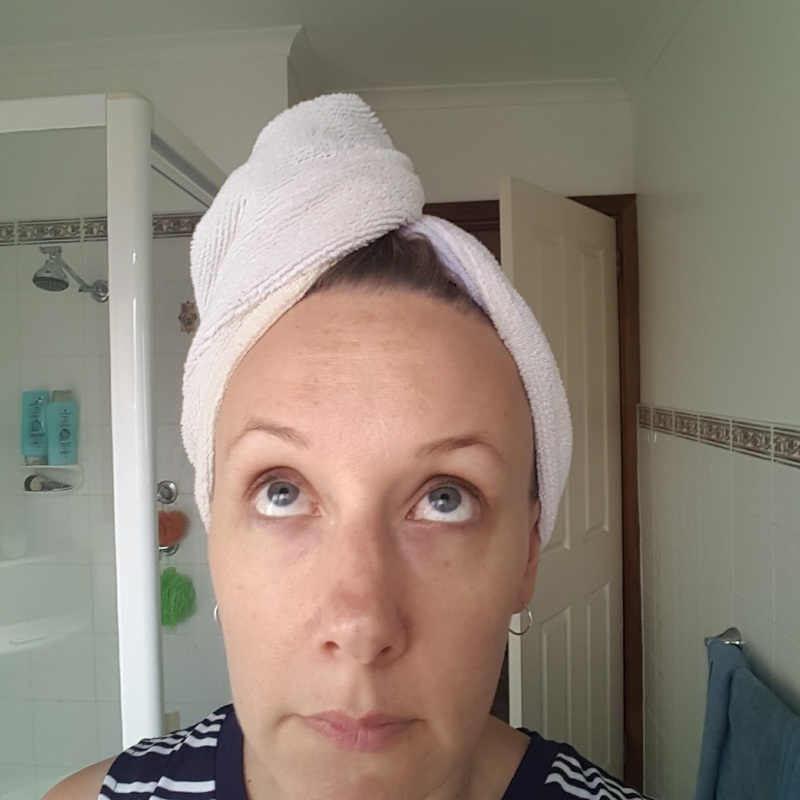 This product kindly provided for review by BEAUTY / crew and this blog post has appeared there in a slightly different format. Images, opinions and forehead marks are all mine and all authentic. For more information or to discuss collaboration opportunities, please see my PR & Media policy.